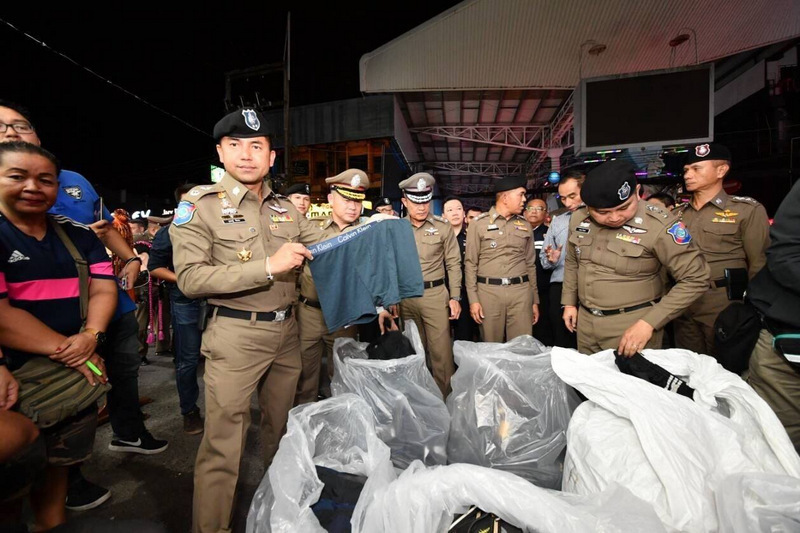 PHUKET: A mass raid on 25 shops along Bangla Rd, Patong, last night saw more than 300,000 items seized with a reported value of B42 million, the Royal Thai Police Immigration Bureau. 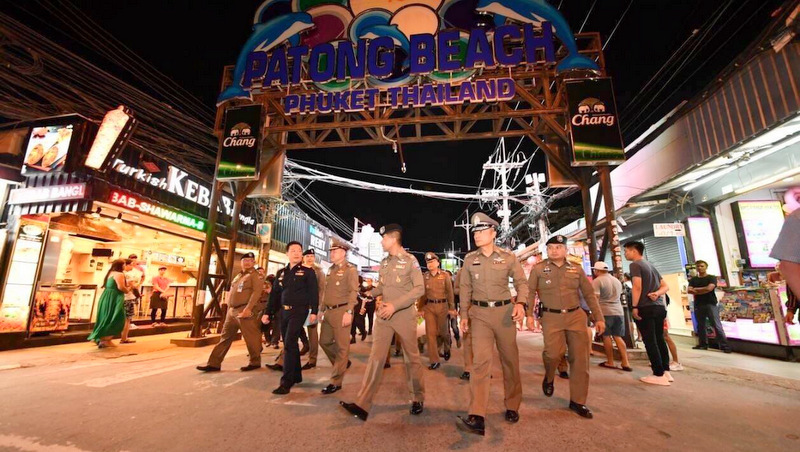 Leading the high-profile raid at 8pm was Maj Gen Surachate Hakparn, Commissioner of the Royal Thai Police Immigration Bureau, and Deputy Commissioner Maj Gen Krissakorn Paleetunyawong. Joining them were Col Panachai Cheunthaitham of the Immigration Bureau’s Investigation Division, as well as Lt Gen Pongwut Pongsri and Maj Gen Wanchai Ekpornpit, both deputy commanders of Region 8 Police. Of note, also joining the raid last night was Peeraphat Ingpongpan, director of the Anti-Money Laundering Office (Amlo) primary investigation division. 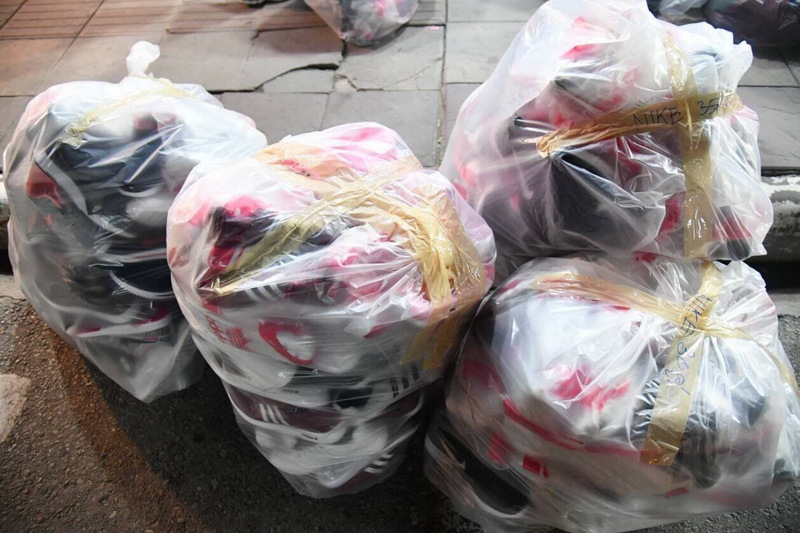 Among the items seized were counterfeit versions of goods made by high-profile brand names including Louis Vuitton, Prada, Gucci, Rayban, Nike, Adidas and Under Armor. 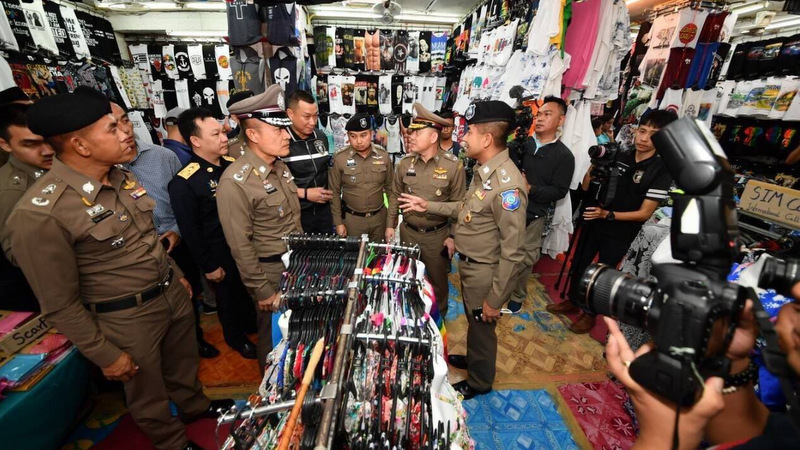 Gen Surachate explained that the raid was carried out in line with policy laid down by Prime Minister Prayut Chan-o-cha and Deputy PM Prawit Wongsuwan, to focus on the importance of fake goods to reduce the damage the fake-goods industry does to the country’s international image. Specific focus is being given on brands from the US, Gen Surachate said, adding that the raid last night was carried out in conjunction with the American Embassy. “This raid followed tip-offs and complaints sent via online, including through social media,” Gen Surachate said. 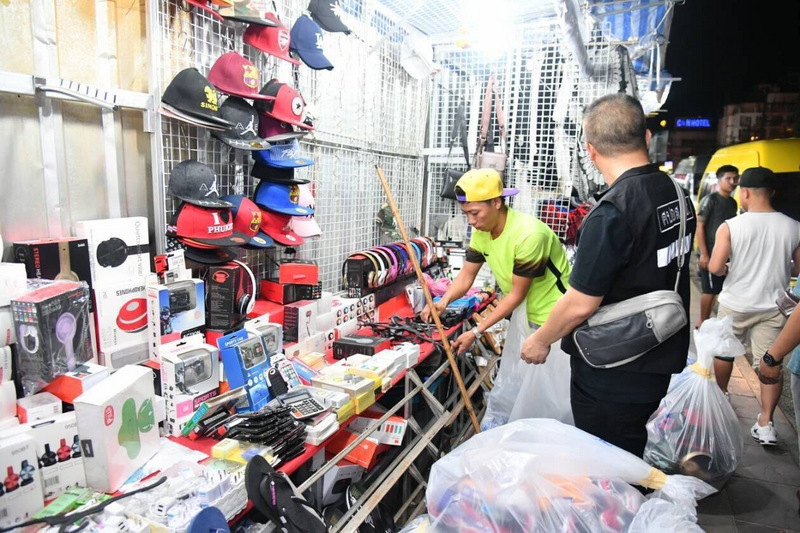 “Preventing this is not easy… We understand the position the merchants are in, so we first asked them to stop selling these goods ,” he added. 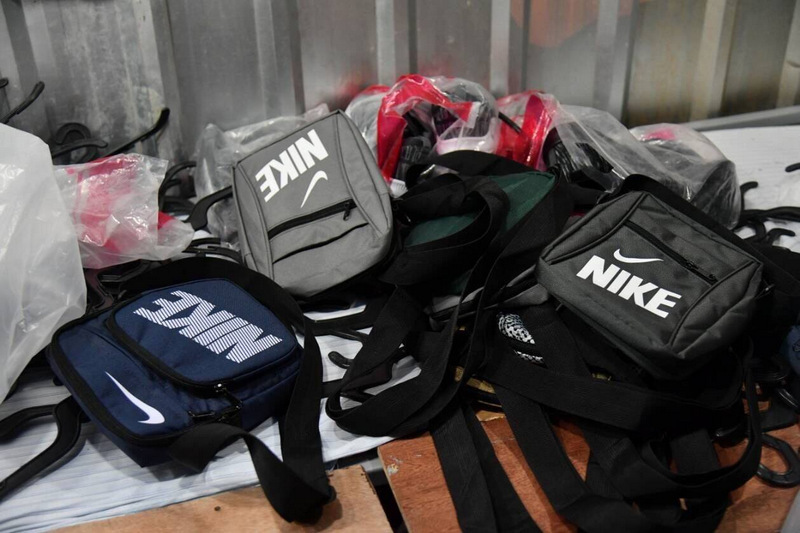 Gen Surachate noted that the US Government was satisfied with the action being taken against vendors of counterfeit goods. “They know we are taking this seriously. Thailand has been recently removed from the top tier of the US government watchlist of countries for intellectual property infringement,” he added. @ Pascale, The international laws about branded good intellectual ownership are clear. The law is the law. You suggest to break the law. It's not about usa only. When tourists from EU arrive back in their home country, customs checks on fake branded goods. Will be confiscated + a 'welcome back' fine ! How about the official thai face and image damage following your suggestion? 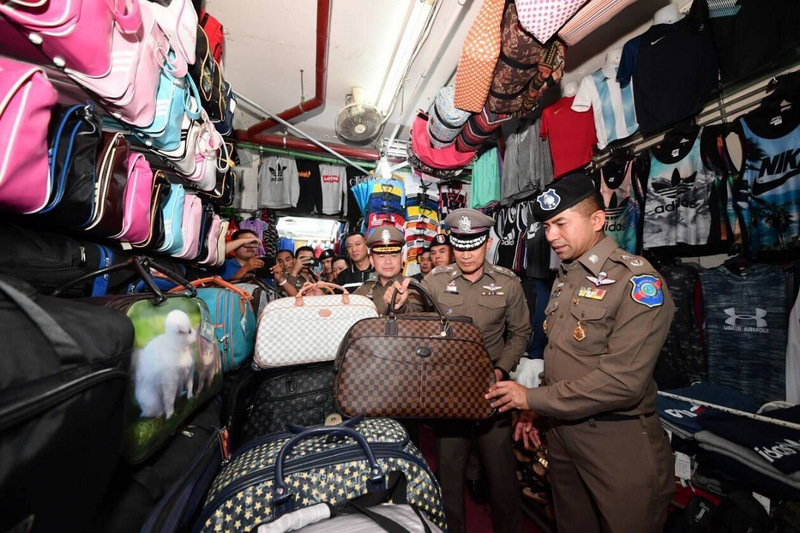 What would Thailand be without all those fake goods? Many tourists like to buy them.Most of them wouldn't buy an original item anyway,because of their exorbitant prices.No need to please some stupid US-government and his "world police"attitude.Already to many expats with that attitude here. DEK, nothing change! Raid was just a 'calm down' show towards Americans ( USA Embassy). 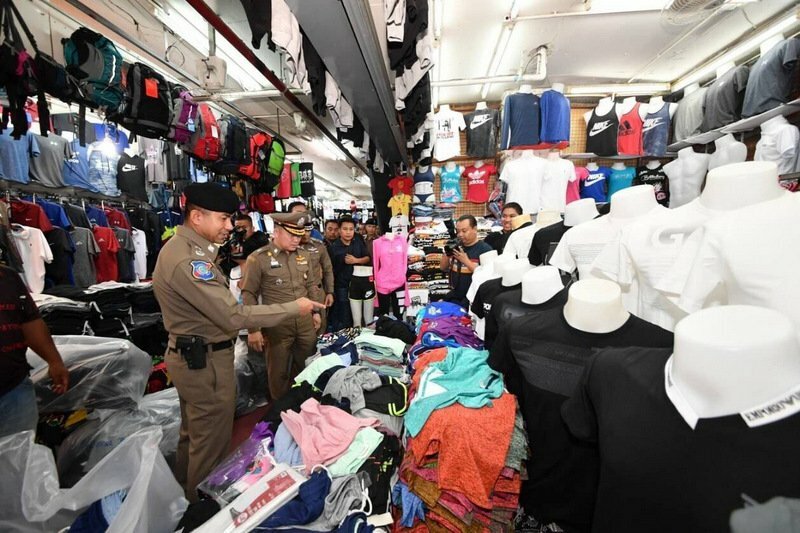 Visit raided shops in a few days time and see that it will be business as usual, Because the thai sellers are only 'asked' to stop with fake sales, not ordered. 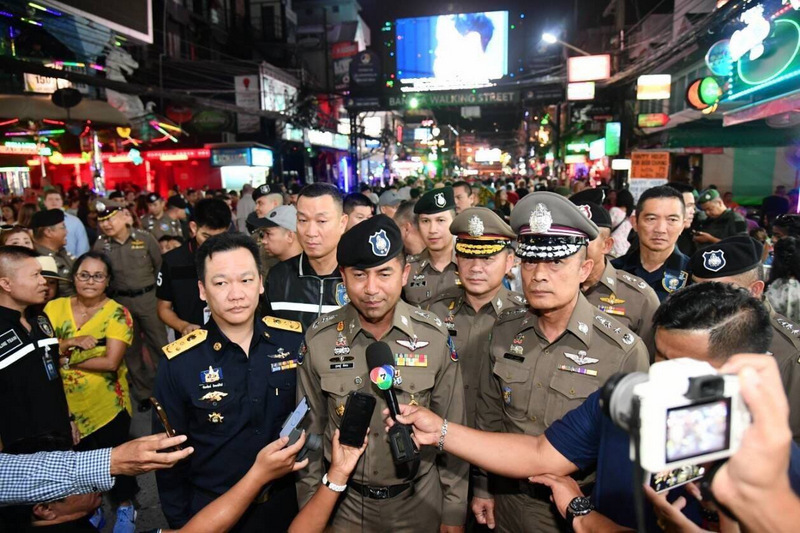 I wrote recent: "stand Bangla Rd, turn around 360 degrees, all fake you see. Next week again. 300,000 items. Garage sales? Dek, surely you know somethings are done purely for political reasons. Has anyone really noticed any less fake goods? These are simply token raids. Kurt,nothing change? Then how is it that Thailand was recently removed from the top tier of the US government watchlist..? Read it good! 1: Only Bangla Rd. 2: Reduce country damage. Really? 3: Raid because social media. Hello, no own enforcement? 4: We understand the position of  illegal selling merchants. What does that mean? A 'go ahead again' next week? Just asking them to stop selling this 1 week???? Because nonsense talk not serious thai authorities, nothing change. Prevention? Sure not!